Leading independent builders' merchant, James Burrell, has identified a site in Rotherham where it will invest £2m in opening its tenth branch. Rothbiz reported in October that the Gateshead company was preparing a 48,000 sq ft Rotherham branch with a 3,000 sq ft office and trade counter area, displays, a warehouse and onsite vehicles. Plans have now been submitted for substantial changes at 1-4 Wortley Road, the Masbrough site that was vacated in 2016 by Esco Corporation. The builders' merchant's proposals include the demolition of one half of the existing building to form an enlarged storage yard. New roller shutters opening onto the new yard are also proposed, as are external racking bays and new palisade fencing. 57 car parking spaces are set to be retained. A change of use application was approved last year and the method of demolition has already been approved. If the latest plans are also approved, the new branch would open later this year creating 15 jobs. Recruitment is already underway for Rotherham-based sales, warehouse and transport jobs. James Burrell is an ambitious company and 2018 saw the opening of a new branch in Morpeth along with investment at current branches which offer a full range of high-quality civils, drainage, timber, roofing, insulation and heavyside building materials. 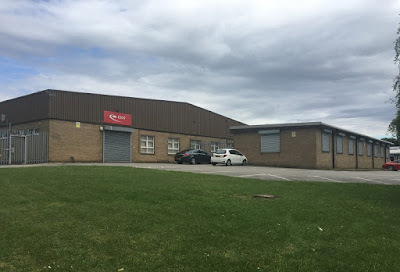 Esco Corporation, a US manufacturer in the mining, construction and industrial sectors, acquired the Wortley Road premises in 2011 as part of the deal for Hydra Mining Tools International, which at the time was one of Rotherham's most profitable businesses.